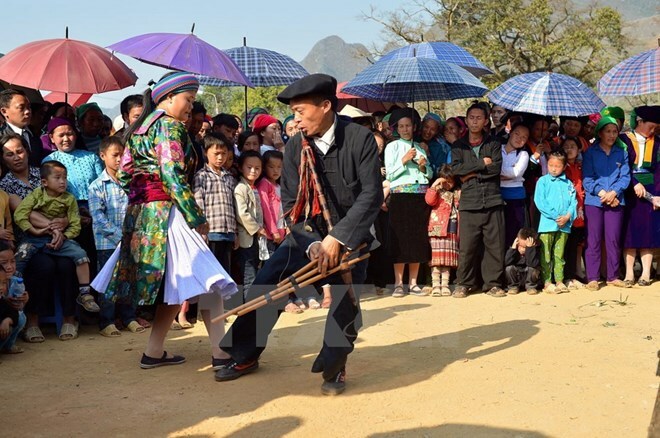 Ha Giang (VNA) – Cultural values of the Mong ethnic group in Ha Giang’s Dong Van Karst Plateau Geopark were the highlight of a festival held in the northern mountainous province’s Meo Vac district from February 13 to 15. Chairman of the district People’s Committee Nguyen Cao Cuong said the event aimed to preserve traditional cultural values and develop tourism. Art performances featuring the diversified culture of Mong people living in Dong Van Karst Plateau Geopark took place during the festival.